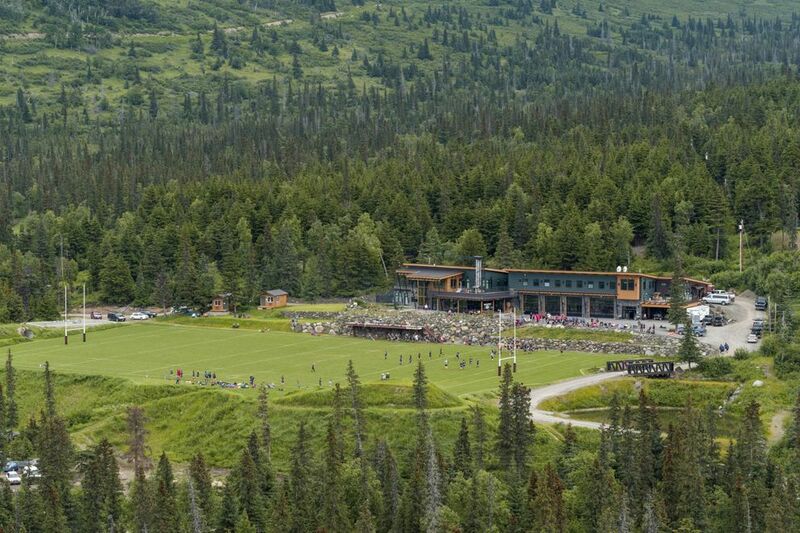 Rugby in Alaska? In the frozen tundra? In 1973 Anchorage, Alaska, the largest city in the state with a population 80,000, had no idea what rugby was all about. The USA in general was just catching on, thanks largely to college club sides offering an alternative to American football. However, Alaska was about to see the light, thanks to the power of mass media and a television ad salesman whose only experience with rugby was having enjoyed the company of a rugby club in Nevada. He put up a ten second tag on a tape delayed broadcast of a British Rugby League match one slow Sunday afternoon (“Want to play rugby? Call this number”), which resulted in so many phone calls he panicked. Several of us who called had hoped maybe someday a sevens game or two could be in our future, but forty-five guys turned out for the first get-together. The most instrumental contributor to our launch of rugby was Paul Schmidt, a local high school teacher who showed up with an entire side of eighteen to twenty year olds he had taught some rugby as schoolboys. He was determined to keep the kids together, which didn’t seem, at first, like a good idea since generally speaking, the rest of us were former college club players - but with the addition of a couple of good seniors things worked out. Paul also promoted the first club sponsorship, from a local tavern, complete with new jerseys, so his club players (too young to drink legally) were sponsored by a bar, while the old, out of shape, club players wore sweatshirts from a local health club. That summer Paul even talked a Canadian team from Langley, B.C. into coming all the way to Alaska for an end-of- the-season tournament. We were off and running! Presently, the Alaska Oosiks are a touring side of approximately 300 old boys (35+) that are playing or played in Alaska. They recently returned from a trip to Christchurch, NZ and are now planning a 2020 Golden Oldies trip to Denver. We are also great hosts up here in Alaska too. Throughout 2017 we had the pleasure of hosting Mangatainoka Barbarians (NZ) US Misfits, Snake River, and Semiahmoo Old Boys (BC, Can). www.alaskarugby.org/ drop us a note at oosik.rugby@gmail.com and we can setup a trip of a lifetime!